It wouldn't be Halloween without owls about! 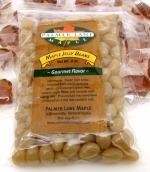 Delicious maple sugar candies have been the gift of choice year-after-year. Made with 100% pure Vermont maple syrup, each maple candy owl is coated with a thin layer of maple syrup that is crystalized, ensuring long shelf life and that soft, delicious, melt in your mouth taste we all love. The gift box has a clear window top, includes a gold elastic ribbon, and is re-boxed for fast USPS Priority Mail delivery in 3 business days. 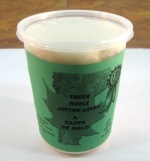 Made from 100% pure & natural Vermont maple syrup, produced in Northern Vermont maple sugarhouses. 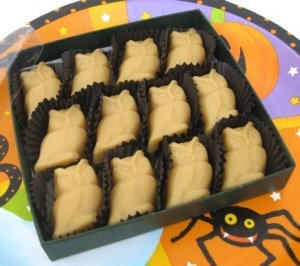 Quick Delivery - Order one 12-piece Owls Gift Box of Maple Sugar Candies and shipping is just $5.95 Priority Mail!